The Evolution Upcoming Events page will feature events that we will be offering to the Evolution Program. Events will range from college tours to tournaments and will be entered onto this page as we lock in each event. It is highly recommended that you continuously check this page for events as each event will have a roster cap to it. Event information will be posted in our newsletters as well. Please note: events will be listed in order by date and will have a deadline for registration. Some events will be posted early without any fees associated as we are looking to gauge interest in the event while we are in the process of compiling hotel information and all associated costs. To register, simply click on the “Register Here” button to be redirected to the Evolution Portal. Please login to the portal, add the event to your cart, and submit payment! In Partnership With F.A.S.T. 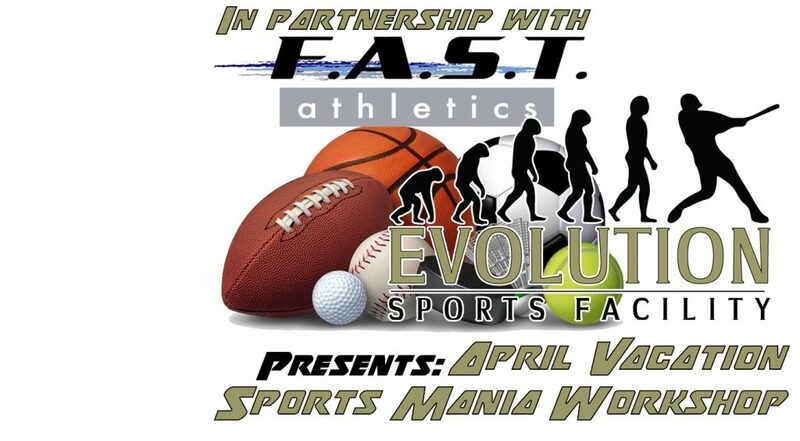 Athletics, Evolution Is Excited To Announce Its April Sports Mania Workshop. The Focus On This Workshop Is To Promote Athleticism Through Various Sports & Activities. At Evolution, We Believe Different Sports Call For Different Body Movements. Letting Players Development Their Functional Movements Through Other Platforms Is Essential In Developing Athleticism While Increasing Motor Functional Pieces. This Workshop Is Open To Both Evolution Members & Non-Members! The Evolution Summer Workshops Are Perfect For Those Looking To Get A Look Inside Of Our Evolution Baseball Program. Understand What It Takes To Be An Evolution Player. Develop & Hone Your Baseball Skills With Evolution Coaching & Drills. Already An Evolution Player? These Workshops Are Ideal To Help Keep You Ready To Go For Summer Tournaments. This Workshop Is Open To Both Evolution Members & Non-Members!